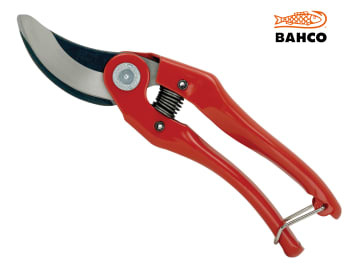 Bahco P121 Bypass Secateurs are light, sturdy and practical secateurs and are suitable for all types of pruning work in the garden. Bypass secateurs are particularly suited for green wood. The razor sharp narrow pointed blades are non-stick coated and the locking mechanism has a wire clasp at the end of the handle.